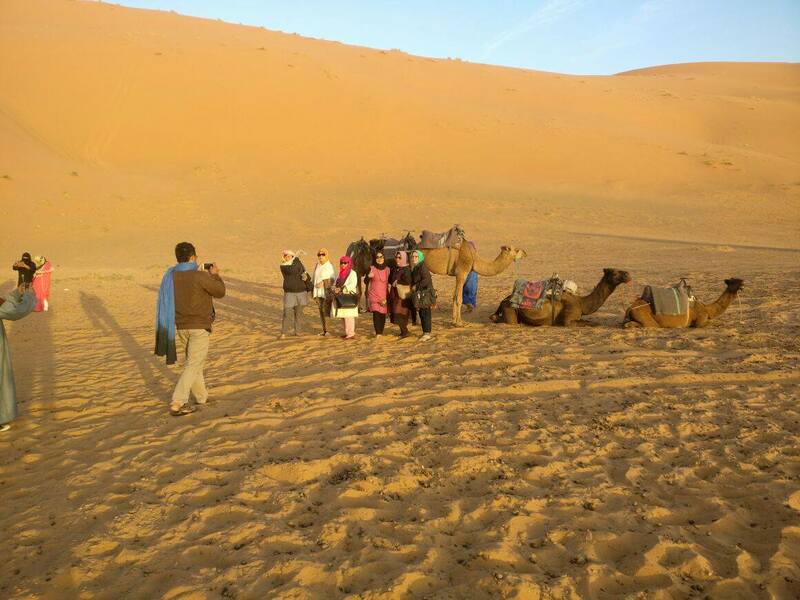 In this spectacular Morocco, Spain and Portugal Muslim Tour discover two continents: Africa and Europe. 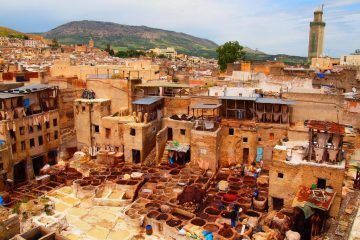 In North Africa you will discover the Berber Muslim Culture, one of the oldest muslim culture still very much alive in the world. 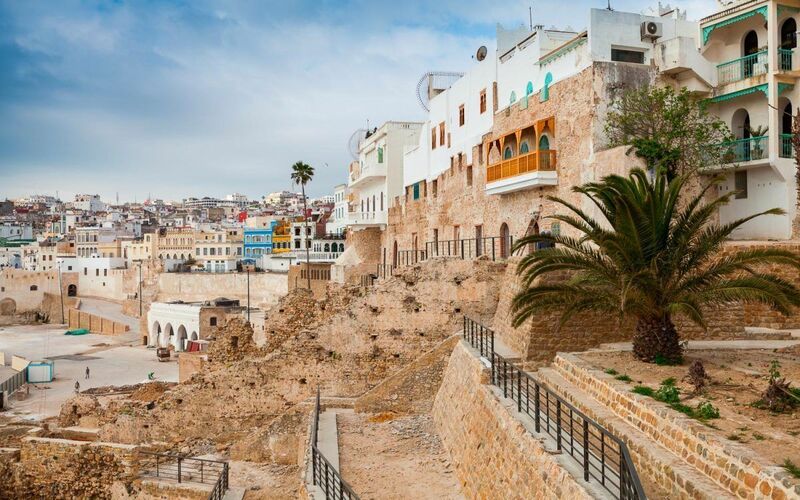 Afterwards, we will cross the Gibraltar Straits in our way to Spain, and start following the steps of Tariq Ibn Ziyad and Musa Ibn Nusayr in Al-Andalus. 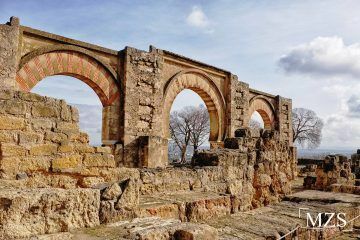 Here we will show you his Muslim legacy which transfer so much knowledge to Europe and opened the way to the Renaissance Age. Then we will cross the border heading to beautiful Lisbon. Welcome to the Mediterranean Muslim Culture!!! Come and enjoy the best quality service for a very affordable price. Because we believe traveling is a must in life, that is why we make it possible for everyone. 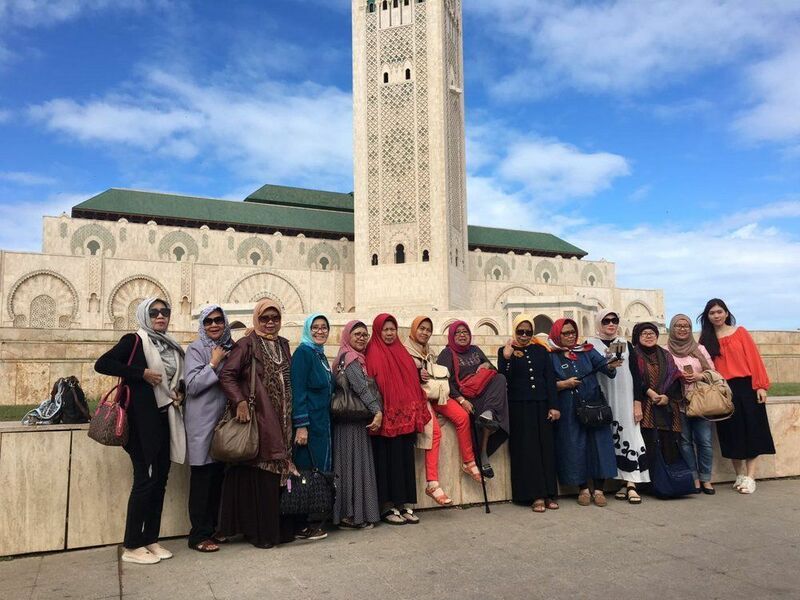 Pick up at Casablanca Airport and start the tour with a visit to Mosque Hassan II (Mosque only open for prayer time, so we will make the pictures from outside). 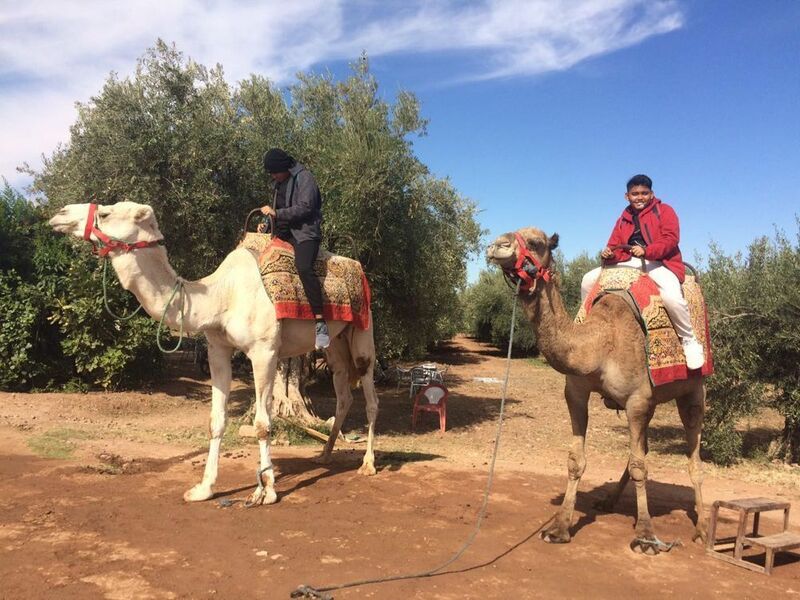 At midday, we will have a delicious Lunch and departure to Marrakesh. Arrival to hotel and rest (people can pray at the hotel). Dinner will be set at the hotel. 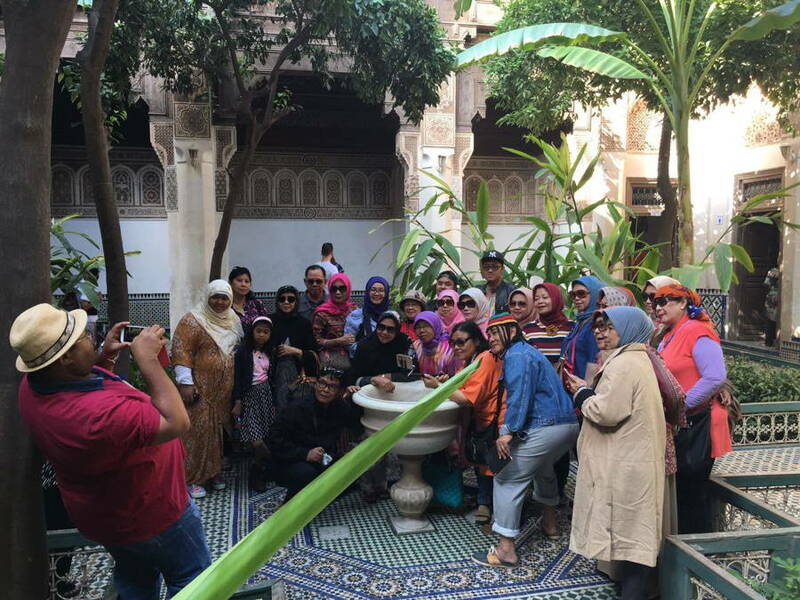 After breakfast and check out we will tour Marrakesh visiting Kutubia mosque, Bahia Palace and the Spice Pharmacy in the Old Medina. 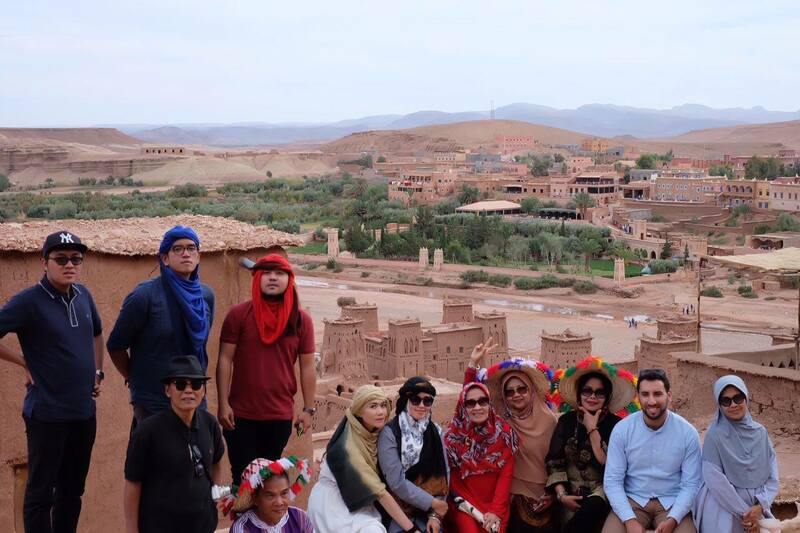 After having a nice Lunch at noon you will have free time for shopping in and visit Jamaa El Fnaa that is in front of Masjeed Koutubia, so at the Prayer time, people can go to the mosque. 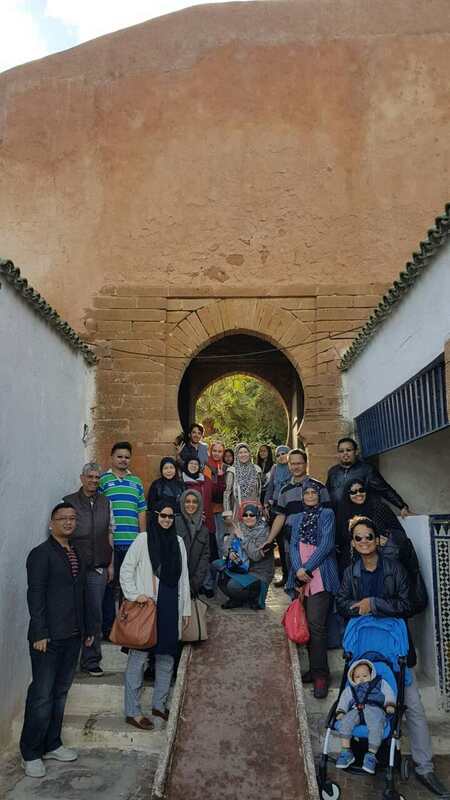 We will meet again and travel to Rabat. Check in at hotel rest and Dinner. 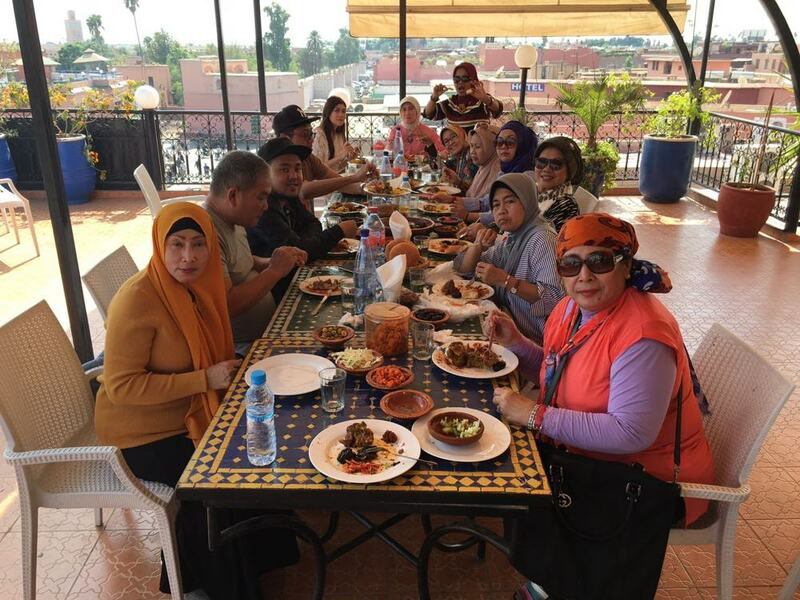 Brekfast and check out from hotel to start the visit to Rabat: Qasbah Oudayas and the Old Bazaar to enjoy some free time for shopping, Hassan Tower, Mausoleum Muhammed V where there is a mosque to pray. At noon enjoy Lunch to refill your energy! Once finished transfer to Tanger, have Dinner and rest in the hotel. 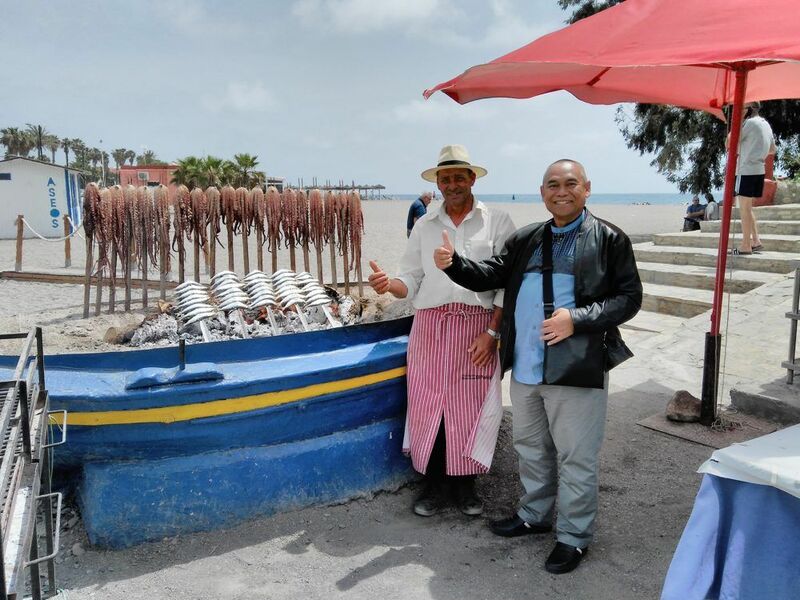 Have breakfast, check out and transfer to Tanger Port to get the Ferry to Spain. After arrival to Tarifa, we will head to Seville but first stop by in Algeciras to have Lunch in a Halal Restaurant. 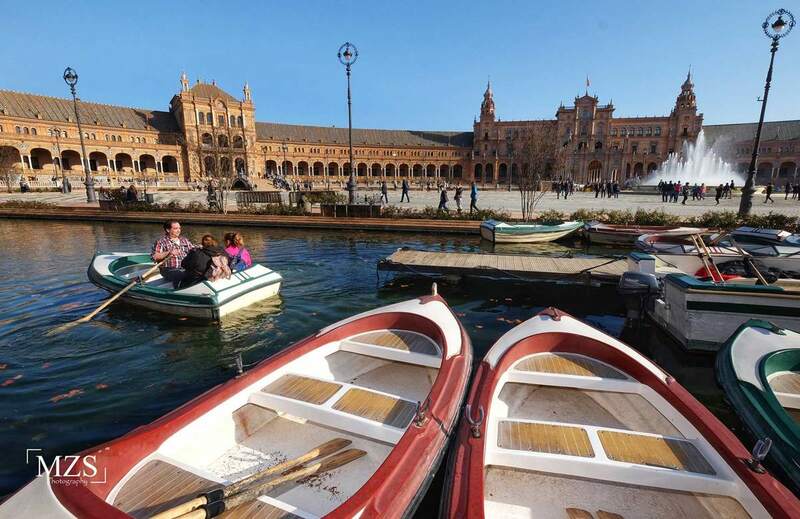 We will visit Seville in a walking tour passing by Plaza España, Jardines de Murillo, Muslim quarters (Free time for souvenir shopping, Giralda Tower (Photo Stop) and Torre del Oro (photo Stop) Afterward we will have Dinner in Halal Restaurant. Check in at the hotel an rest. After Breakfast we will travel to Lisbon. 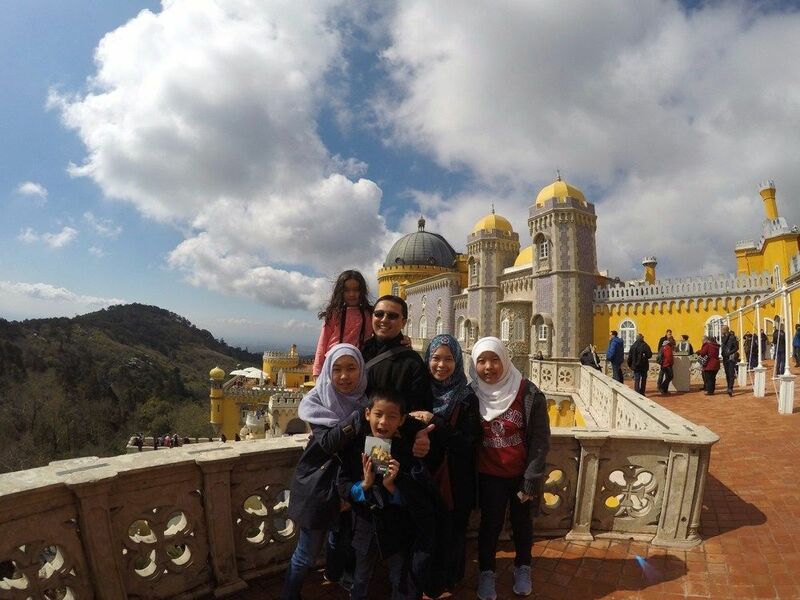 On arrival enjoy a nice Lunch in Halal Restaurant, and then have time to pray in the Central Mosque of Lisbon and visit Da Pena Sintra Palace. Afterward, we will have Dinner in Fish and Seafood Restaurant and check in at the hotel to rest. 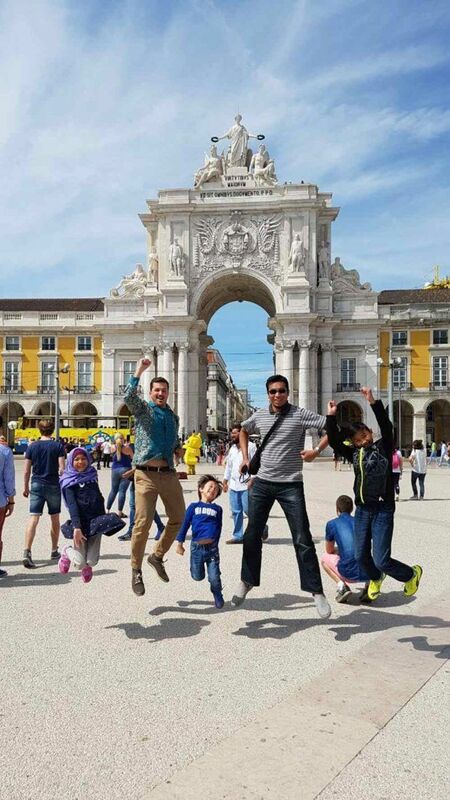 After Breakfast and check out we will continue our visit with a Photo Stop in Belem Tower, Rossio Square, Jeronimos Monastery and Monument to the Discoveries. We will have time for shopping souvenir at Lisbon city Center and Free time. 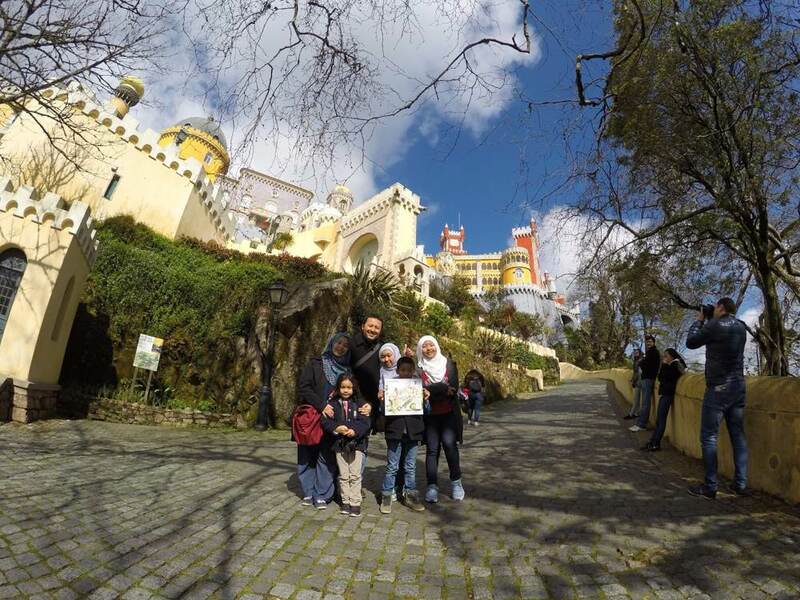 At noon Lunch is set in a Halal Restaurant and prayer time in the Central Masjeed of Lisbon. 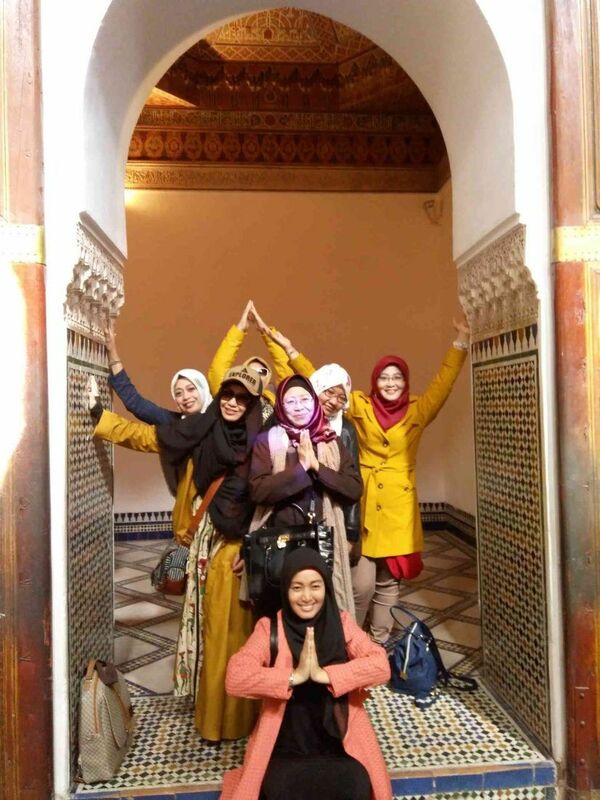 Afterward, we will travel back to Seville, have dinner in Halal Restaurant, check in at hotel and rest. 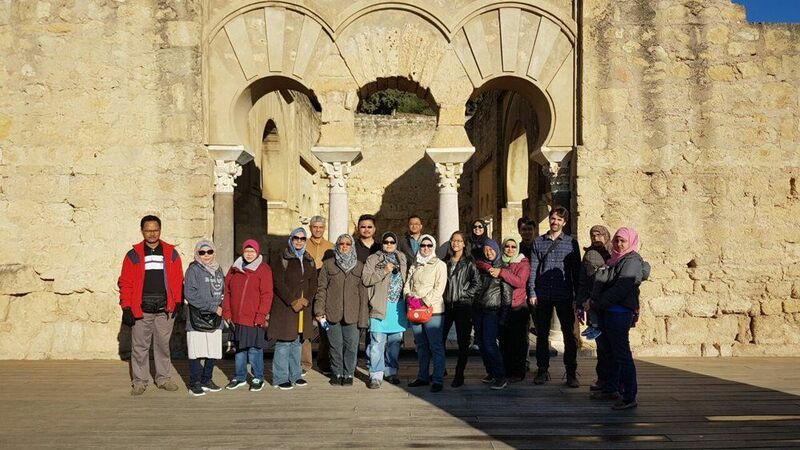 Have breakfast, check out and transfer to Cordoba where we will visit the Mosque of Cordoba with free time for shopping souvenir, time for Lunch in Halal Restaurant and set time to pray in a small mosque at the Muslim Quarters. 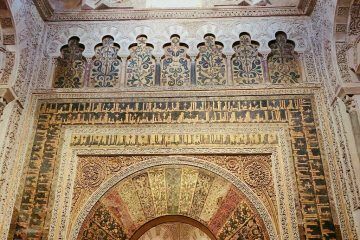 Later in the day transfer to Granada by the Highway and visit Albaizin Muslim Quarters, Granada Grand Mosque and enjoy an astonishing Panoramic view to Alhambra. Dinner in Halal Restaurant and check in at the hotel to rest. 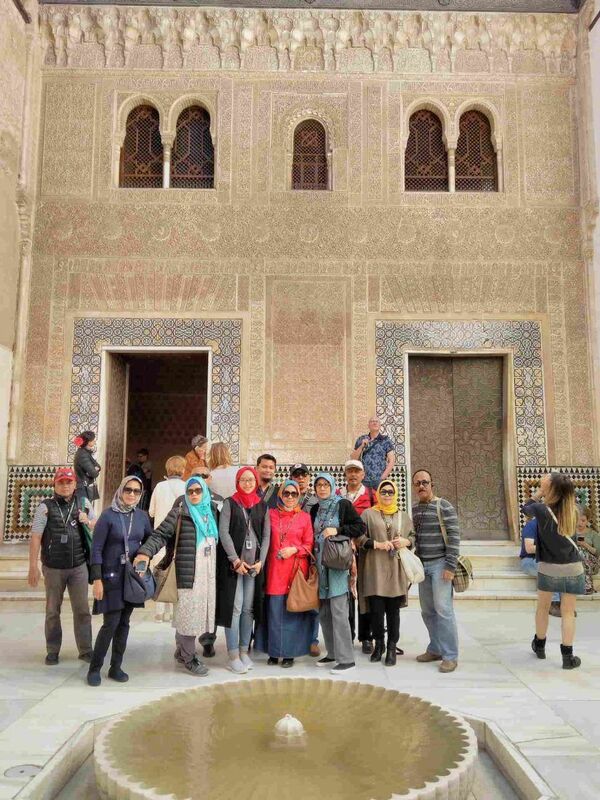 After Breakfast and Check out we will have a guided tour inside the Alhambra Palaces and the Generalife Gardens. Once finished we will head to Madrid. At midday enjoy a nice lunch in a Halal buffet on the way or lunch in Villa, depend on weather conditions. Once arrived dinner before Check in at hotel and rest. 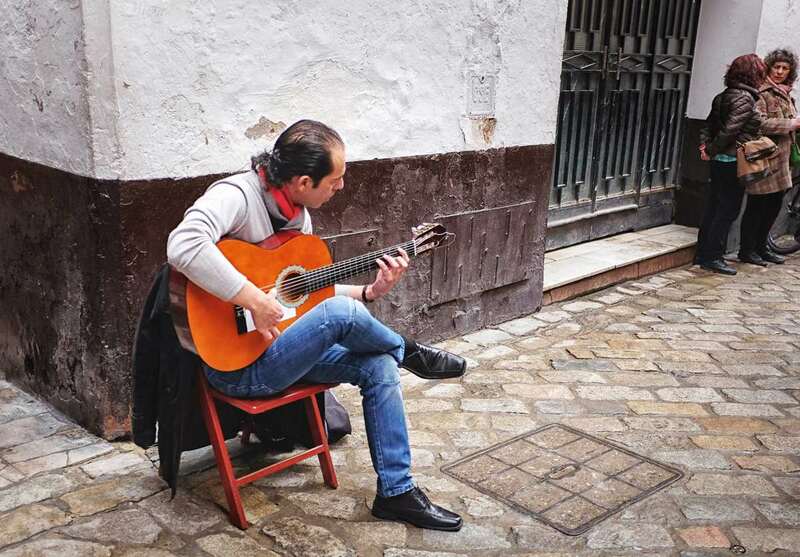 After Breakfast, we will visit Toledo where will enjoy a Panoramic view at Mirador del Valle and visit Toledo center. Free time for shopping and return to Madrid where we will have a delicious Lunch at noon in a Halal Restaurant and pray at the Masjeed. 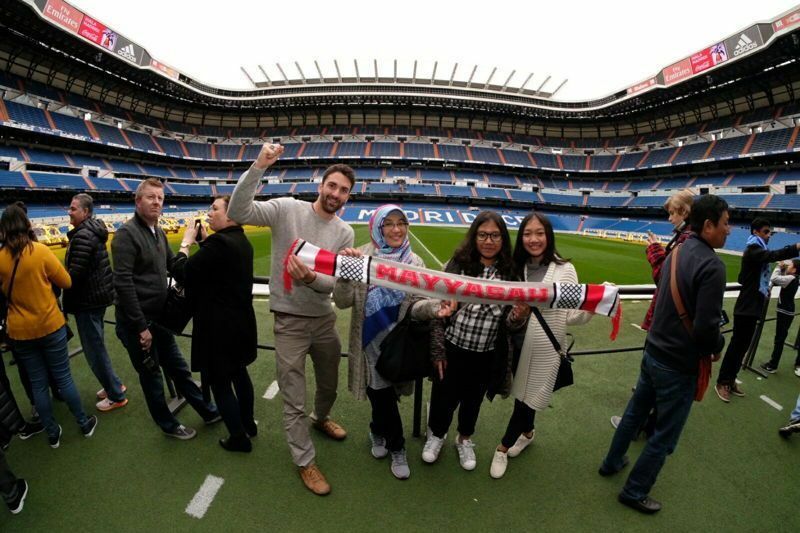 Continue with a visit to Bernabeu Stadium and Free time in the City center for Shopping. Later in the day, we will go shopping to Las Rozas Factory Outlet. 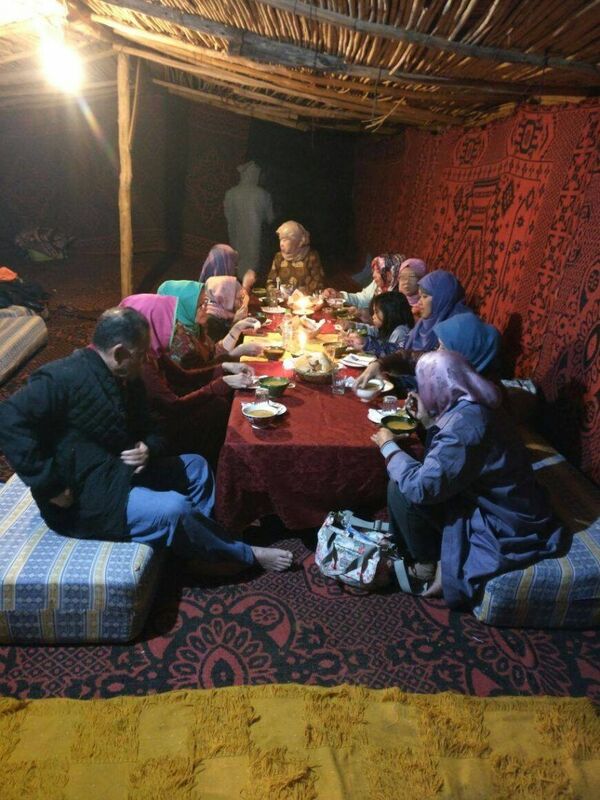 Afterward Dinner in a Halal Restaurant and transfer to hotel. After Breakfast and Check out, program according to Flight Departure. Transfer to Airport 4 hours before departure time. 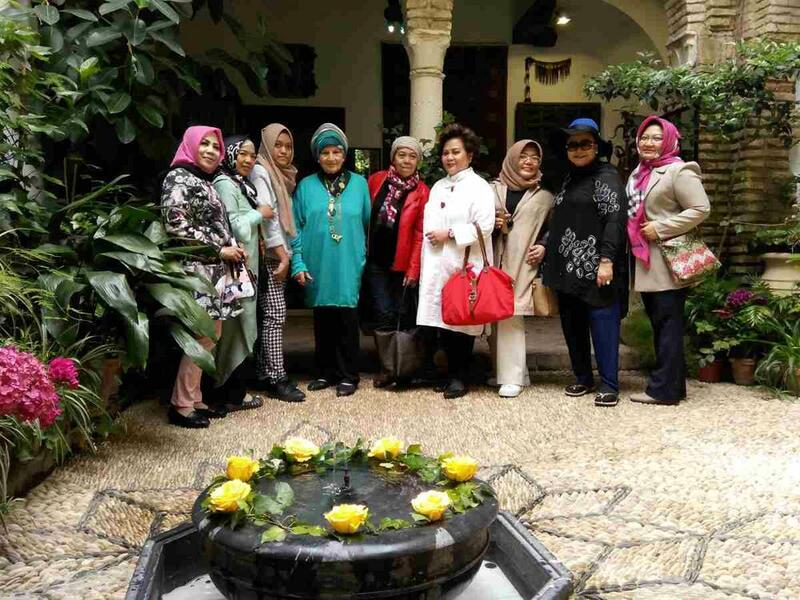 Tour kali ini benar2 sangat bagus mulai dari pelayanan hotel ,makannya yg selalu ditanya makan apa.jadi sesuai dng keinginan kita.sehingga kita bisa merasakan makanan maroko ,turki,spanyol,perancis.dan kebetulan diperancis kita makan direstoran yg sama dng Rossa dan Afgan,juga kelokasi wisata tanpa jalan jauh,parkir mobil ke lokasi sangat dekat.ramah dan bisa diminta tolong unt memotret dng senang hati.pokoknya sip.tidak mengecewakan tapi menyenangkan.bisa menunjukkan ke lokasi yg yg bagus unt foto.tempat belanja juga.orangnya sabar walau kita lelet. Alhamdulillah, kami didampingi oleh orang yang bernama Yasin, sungguh luar biasa dan profesional sekali dia, penyabar, santun dan berakhlaq mulia. Selalu senyum dalam situasi apapun. Di tiap negara kami tetap dibawa sholat di masjid, Subhanallah.